Footprint: 9" x 7.5" | Reaction Chamber: 6" | Height: 23"
This Regal skimmer is quipped with a new generationReef Octopus controllable Direct Current VarioS pinwheel skimmer pump which are the latest in variable speed flow technology and allows for refined control, enhanced performance and efficiency.The vast majority of skimmerpumps available to hobbyist are alternating current "AC"pumps (the type of power that comes out of your wall outlet). Direct currentpumps have several key advantages over traditional ACpumps. Most notably, you can control the rotational speed of the motor, thus electronically control air and water flow rates into the skimmer.Now the user can have the skimmer process more or less water just by the push of a button!!! 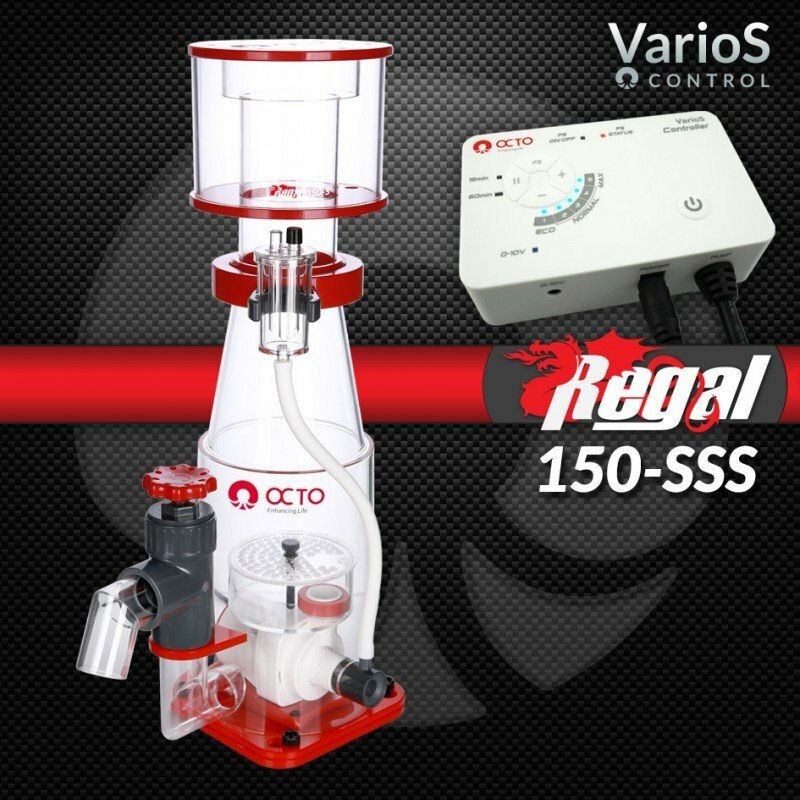 The VarioSpumpfeatures a true slow startup where the pump slowly ramps up from zero RPM to the full preset speed over a period of approximately 10 seconds. Thepumpand controller are connected via a waterproof 3-conductor union. The detachable controller will allow for a simple waterproof union. 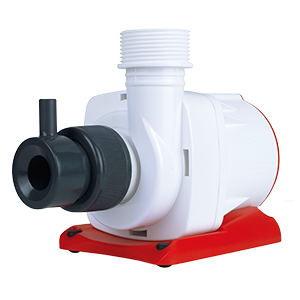 The volute can rotate to change thepump's output orientation in 90 degree intervals, meaning users can output water vertically (up or down) as well as horizontally.